Gems cut and faceted by master gem-cutters in Idar-Oberstein, Germany. Named after the East African state of Tanzania, Tanzanite was introduced by Tiffany & Co. in their fine jewelry collection in the late 1960’s. Known originally as Zoisite, discovered in the Austrian Alps in 1805, named after a mineral collector, Zois. Zoisite mineral, also known as saualpite, can be black, green, pink, red, blue, brown and colorless. Zoisite was also found in Tanzania in 1954 in the green and red varieties. The Masai called it, anyolite, the word for green. In 1967 a new variety of blue Zoisite was discovered in Tanzania. Lavender blue in natural light by day and exhibiting reddish violets in artificial light at night, this newly discovered color was immediately treasured. 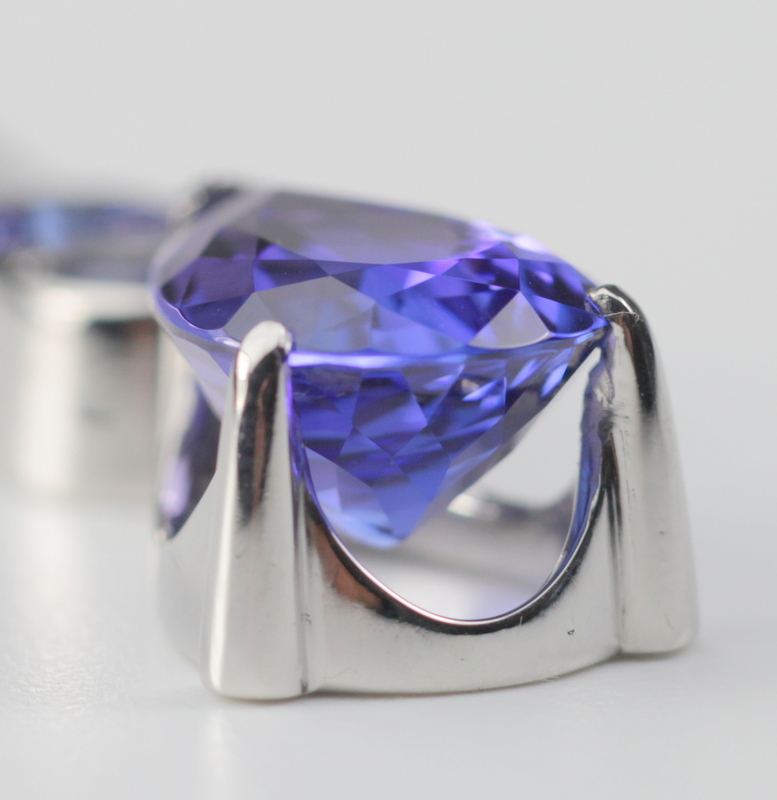 There has not been any other deposits of Tanzanite found since 1967; therefore, limiting the quantities available and increasing the value of gem quality large stones.Tanzanites have a hardness of 6.5 on the Mohs scale, scale 1-10, (10 the most hard.) Ultrasonic cleaners can shatter or permanently damage Tanzanites. 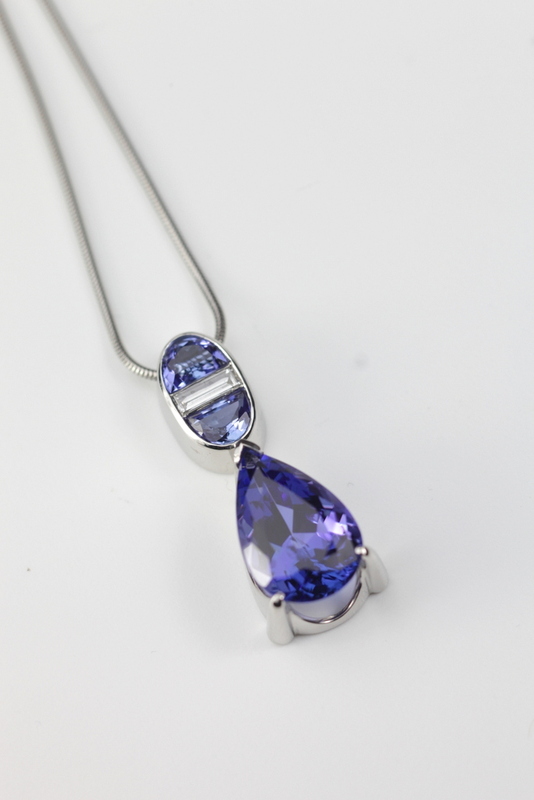 Wearing a Tanzanite is like having a shimmering bouquet of periwinkle flowers–that last forever.